Along with tonight’s announcement of the new Kindle Fire HDX tablets by Amazon, we also get a new Kindle Fire HD that has been upgraded in a number of areas yet drops in at a low price of $139. At that insanely low price, you are looking at a 1280×800 HD display (216ppi), 1.5GHz dual-core processor, Dolby Digital Plus audio dual speakers, the same slim design of the HDX series, and the new Fire OS 3.0 fork of Android. The new Kindle Fire is available for pre-order in both 8GB and 16GB models starting today, and will begin shipping October 2. SEATTLE–(BUSINESS WIRE)–Sep. 25, 2013– (NASDAQ: AMZN)—Two years ago, Amazon revolutionized the tablet industry with the $199 Kindle Fire. 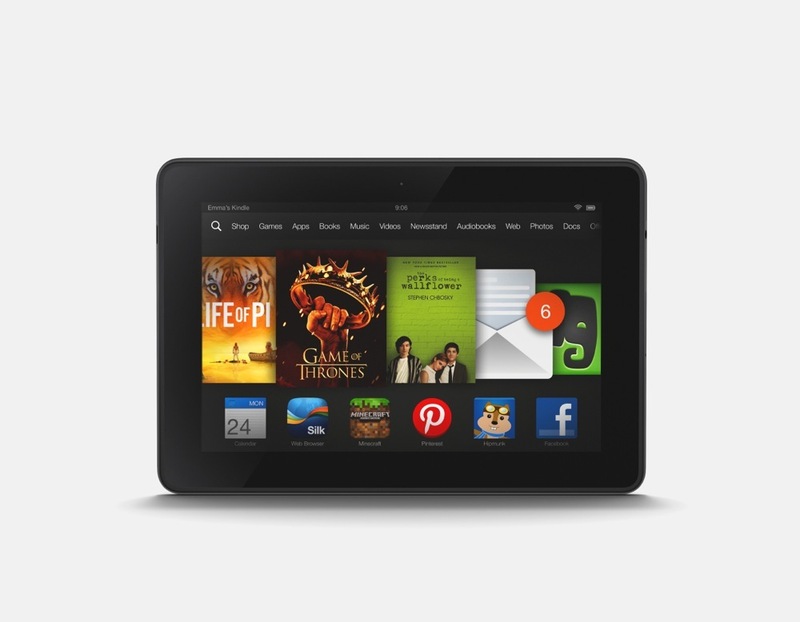 Today, Amazon is doing it again: introducing the new $139 Kindle Fire HD. Kindle Fire HD is available for pre-order starting today at www.amazon.com/fire-hd. High-definition display with 1280×800 resolution and 216 pixels per inch, making movies, TV shows, books and games vivid and detailed. 66% more pixels than the previous generation Kindle Fire. World’s best content ecosystem—over 27 million movies, TV shows, songs, apps, games, books, audiobooks, and magazines. Amazon.com, Inc. (NASDAQ: AMZN), a Fortune 500 company based in Seattle, opened on the World Wide Web in July 1995 and today offers Earth’s Biggest Selection.Amazon.com, Inc. seeks to be Earth’s most customer-centric company, where customers can find and discover anything they might want to buy online, and endeavors to offer its customers the lowest possible prices. Amazon.com and other sellers offer millions of unique new, refurbished and used items in categories such as Books; Movies, Music & Games; Digital Downloads; Electronics & Computers; Home & Garden; Toys, Kids & Baby; Grocery; Apparel, Shoes & Jewelry; Health & Beauty; Sports & Outdoors; and Tools, Auto & Industrial. Amazon Web Services provides Amazon’s developer customers with access to in-the-cloud infrastructure services based on Amazon’s own back-end technology platform, which developers can use to enable virtually any type of business. Kindle Paperwhite is the world’s best-selling and most advanced e-reader. It features new display technology with higher contrast, the next generation built-in light, a faster processor, the latest touch technology, and exclusive new features designed from the ground up for readers. Kindle, the lightest and smallest Kindle, features improved fonts and faster page turns. The new Kindle Fire HDX features a stunning exclusive 7” or 8.9” HDX display, a quad-core 2.2 GHz processor, 2x more memory, and 11 hours of battery life, as well as exclusive new features of Fire OS 3.0 including X-Ray for Music, Second Screen, Prime Instant Video downloads, and the revolutionary new Mayday button. The all-new Kindle Fire HD includes an HD display, high-performance processor and dual speakers at a breakthrough price.